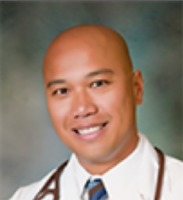 Dr. Victor Nguyen is a physician practicing at TriValley Internal Medicine Group in Murrieta, CA. First visit waiting for email so I know how to get to my records online. He is very good. I trust his recommendations and others in the office. I have been a patient for over 2 years and if Dr. Nguyen didn't have my INS I would have to maintain INS that has him in my network. He is great! The best doctor anyone could want. Dr. Nguyen is extremely professional, but he also shows the passion and compassion one wants in their doctor. When leaving a message it takes too long and sometimes no response at all. To be expected, with increased demands on his time + more offices, things have slacked off somewhat. No one could ask for a better doctor, we are truly blessed. Only recently have had problems getting appointment when I call. The doctor has taken care of me for 2 years and has helped me with my ailments. Thanks Doc! I have never felt (as an HMO patient for 9 years) that I had concerned medical care until I came to this office and to Dr. Victor Nguyen. Thank you so much. Very kind and informative. Listens well and understanding. Dr. Nguyen is the best!